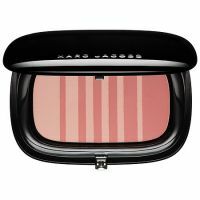 This has become my holy grail blush (it's right up there with Hourglass for me). I get compliments all the time when I wear it. It combines great color payoff with a oh-so-pretty highlight. I'm smitten. OMG, this stuff is gorgeous. First, every time my coworker wears it, I ask her what highlighter she's wearing. She's not. It's just this. So I had to get it for myself. All the shades are so pretty and pigmented without being OTT. And you don't need highlighter with this. Flushed and radiant in a single step. Love. One of thee best blushes I've ever tried! I love how well this blush blends into my skin -- leaving a gorgeous flush without the obviously blushed cheek look. So natural and pretty with the combo of two colors. I have gotten several comments when I wear it. Love!